These steel pails are manufactured with first-quality materials and components to ensure the integrity of your products. All pails are available unlined with rust-inhibitor or with chemical-resistant epoxy-phenolic lining for sensitive products. UN-Rated Pails meet 49 CFR requirements for certain hazardous materials. 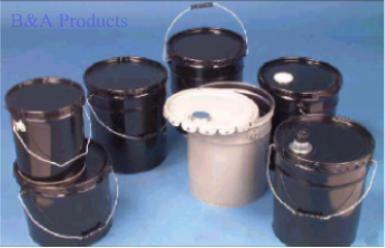 Standard Pails are ideal for non-hazardous materials or shop use.